We have a list of new Amazon February titles coming to Amazon Prime Video next month, which you can check out below! February brings seven Prime Original series and two Prime Original movies exclusively available for Prime members to stream or download at no additional cost to their membership. 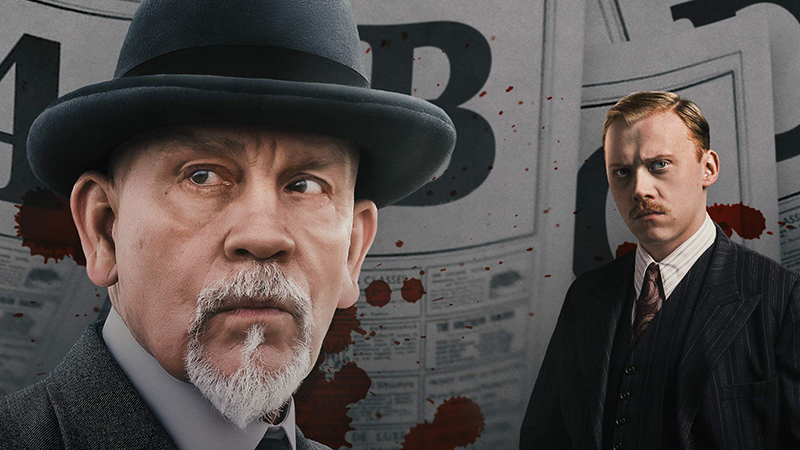 Agatha Christie Presents ABC Murders S1: The Prime Original series is based on the novel of the same name by Agatha Christie. The series follows a killer, who uses the alias ABC, and strikes in a methodical pattern, leaving a copy of the ABC railway guide at the scene of each murder. Agatha Christie Presents: ABC Murders will be available in HDR and UHD on compatible HDR devices (Feb. 1). Generation Wealth: The Prime Original movie puts acclaimed photographer and filmmaker, Lauren Greenfield’s, life’s work together for in an incendiary investigation into the pathologies that have created the richest society the world has ever seen. Spanning consumerism, beauty, gender, body commodification, aging and more, Greenfield has created a comprehensive cautionary tale about a culture heading straight for the cliff’s edge. Generation Wealth will be available in SDR and UHD on compatible devices (Feb. 1). White Dragon S1: The Prime Original series follows a sheltered London professor, who tries to unravel the mystery behind his wife’s sudden death. As he digs deeper, he’s drawn into a web of conspiracy as he tries to find out the truth about the woman he loved. White Dragon will be available in HDR and UHD on compatible HDR devices (Feb. 8). Don’t Worry, He Won’t Get Far on Foot: The Prime Original movie is based on a true story from John Callahan’s autobiography. The movie follows John after an all-night bender ends in a catastrophic car accident, and he reluctantly enters treatment. On his road to recovery, Callahan discovers a gift for drawing edgy, irreverent newspaper cartoons that develops into an international following and grant him a new lease on life. Don’t Worry, He Won’t Get Far on Foot will be available in HDR and UHD on compatible HDR devices (Feb. 8 ). Tumble Leaf S4B: The Prime Original kids series is set in a whimsical land where a small blue fox named Fig plays each day and discovers adventure, friendship, and love around every bend in the path. By sharing Fig’s adventures, children will find that they carry the lessons of play with them allowing them to generate new adventures of their own (Feb. TBD). If You Give a Mouse a Cookie S1 Part 3: The Prime Original kids series is based on the beloved books by Laura Numeroff and Felicia Bond. The series follows the adventures of Mouse, Oliver, and friends. Each episode starts at home and leads to unexpectedly delightful twists and turns until we are back at home where we started (Feb. TBD). In addition to Prime Originals, licensed TV series coming to the service include season 3 of PBS’s hit drama series The Tunnel and season 1 of PBS’s drama series Hillary. Additionally, blockbusters including Papillon (Golden Globe winner Rami Malek), What They Had (Hilary Swank and Michael Shannon) and Wayne’s World (Mike Myers and Dana Carvey), along with old-school action flicks like Lara Croft: Tomb Raider (Angelina Jolie), Terminator 2: Judgement Day (Arnold Schwarzenegger) and The Matrix trilogy (Keanu Reeves and Laurence Fishburne) will join Prime Video. Coming to Prime Video Channels in February, HBO will debut the second season of 2 Dope Queens, the sixth season of Last Week Tonight with John Oliver, and blockbuster movie Deadpool 2. STARZ will showcase four fan-favorite movies including Love Actually, Erin Brockovich, and Disney’s Cars 2 and Toy Story 3. SHOWTIME will premiere its first late-night talk show with the debut of Desus & Mero, starring Desus Nice and The Kid Mero and movies including Mary Shelley, 7 Days in Entebbe, A Kid Like Jake and Midnight Sun. CBS All Access will stream the 53rd Super Bowl and the 61st Annual Grammy Awards. Don’t miss Prime Video’s live streaming sports coverage of six live Association of Tennis Professional (ATP) matches, including Montpellier February 4-10th, Rotterdam on February 11-17th, Rio de Janeiro on February 18-24th, Marseille on February 18-24th, and Acapulco and Dubai on February 25-March 3rd. Additionally, stream UFC 234: Whittaker vs. Gastelum on February 10th.